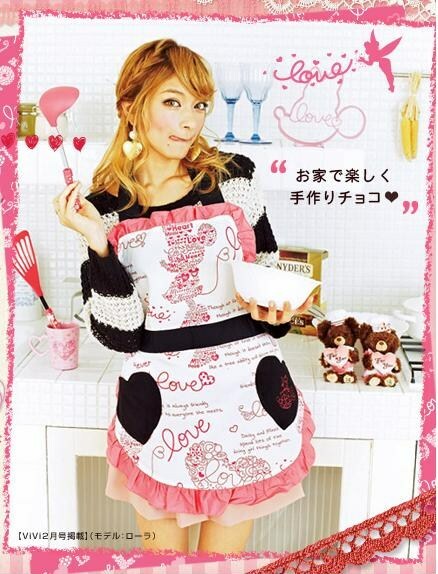 Have you ever wondered what Valentine’s Day is like in Japan, and how different it is to the UK? Well, at first glance it doesn’t seem that different. It’s basically an excuse to buy chocolate, and lots of it! The shops fill up with more cute candy than you can shake a chopstick at, although card giving isn’t as common and people don’t really go out for candle-lit dinners or anything. The main difference in how people behave on Valentine’s Day in Japan compared to the UK is that, in Japan, girls give chocolates to guys, but don’t receive anything. If you think that seems unfair, don’t worry! There is another day called White Day on March 14th, when guys are supposed to give to girls. 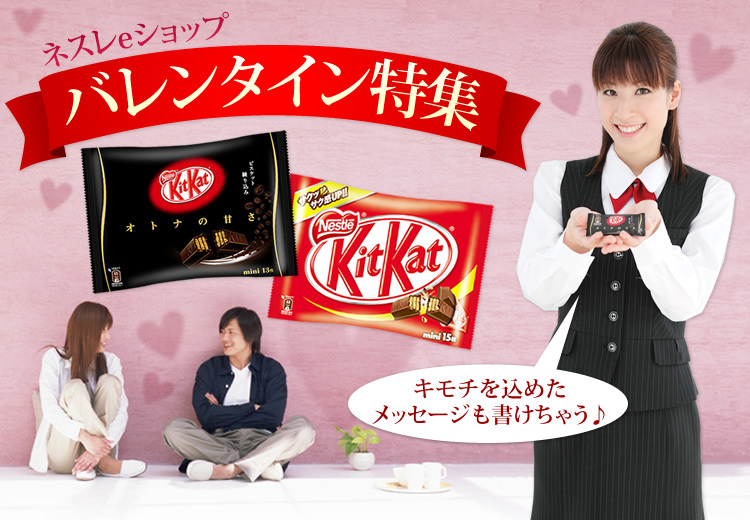 You can see an office worker giving a Kit Kat to her co-worker with a message written on it. 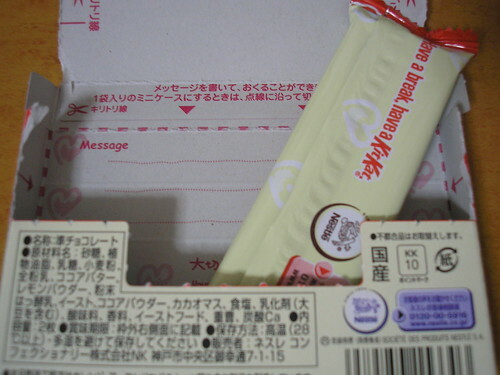 In 2009 there was a special Valentine’s Kit Kat with a cool folding box. You got two two-finger Kit Kats, and the idea was that you could keep one, and give the other one to someone with a secret message. Cute. Making sweets is very popular for Valentine’s Day in Japan, and throughout February the shops will be full of chocolate moulds and decorating tools. Kids often make little bags of sweets to take into school for their friends, which must be a real stress for parents! When I was teaching in Japan, I was sometimes given homemade chocolates and sweets by my students on Valentine’s Day, even though I’m a woman. As Valentine’s Day isn’t really a romantic occasion in Japan, you often find some very strange related events. 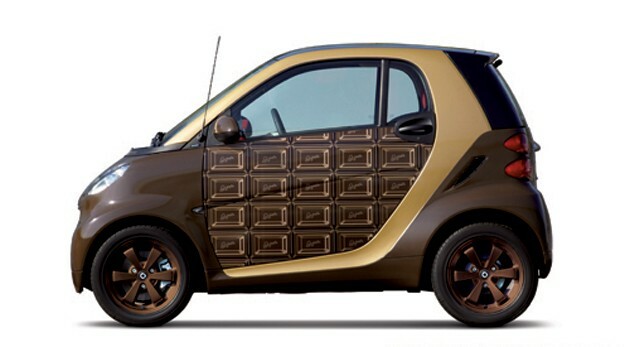 Last year, for example, a “chocolate car” was unveiled. 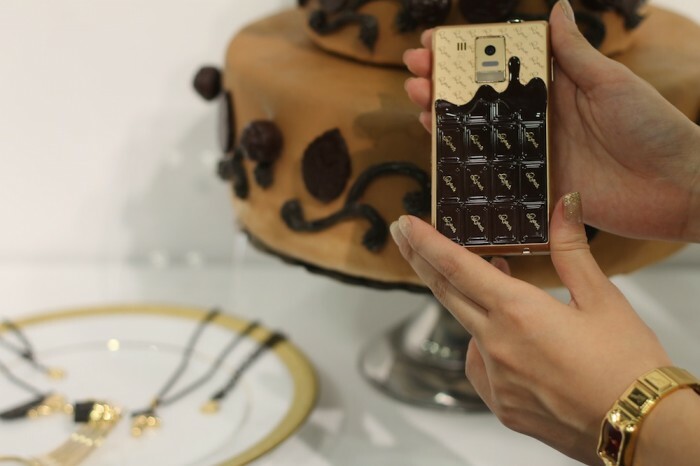 This year, a “chocolate phone” will be launched. So, really, Valentine’s Day in Japan is all about chocolate, which isn’t so different to the UK. If you happen to visit Japan around Valentine’s Day, don’t forget to visit the conbini (convenience store) to look for special Valentine’s chocolate releases. 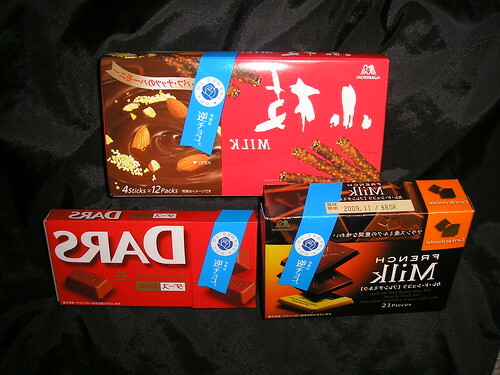 In 2009 I found these gyaku-choco (逆チョコ) or “reverse chocolates”. This was a cunningly clever idea by Morinaga chocolate company to provide a product which guys could give to girls on Valentine’s Day. I’m not sure if the idea caught on – has anyone seen any gyaku-choco in Japan this year? This post is an entry for the February edition of J-Festa, on the theme of Valentine’s Day in Japan. Don’t forget to check out all the other entries! Very cool. I like the chocolate car from last year. Do you know what they ended up doing with that? I think the cars were actually for sale, but I imagine they were limited. I read somewhere that they cost about 2,360,000Yen! I don’t think Valentines Day exists here in Taiwan. I haven’t seen any advertisements, stationery, anything. Really? Not at all? I didn’t know that! I want that chocolate cellphone!!! It’s so adorable. “Gyaku choco”? They try to come up with new things in order to make money every year, huh?